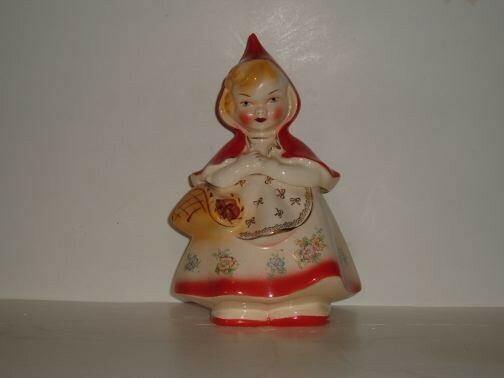 Little Red Riding Hood cookie jar by HULL. Little Red Riding Hood cookie jar by HULL. This jar was made by Hull from the patented design. Manufacture date is unknown. The jar is from a private collection and is in excellent condition.